So often the standard-setter in Irish women's rugby, Claire Molloy saw off stiff competition from Katie Fitzhenry to be crowned Player of the Year for the second year running at the Guinness Rugby Writers of Ireland awards last night. A full-time doctor in England, Molloy could so easily have hung up her boots following the last year's World Cup, yet she did not want to bow out on such a sour note. The abrasive flanker enjoyed a fine Six Nations earlier this year in what was Adam Griggs' first campaign in charge. 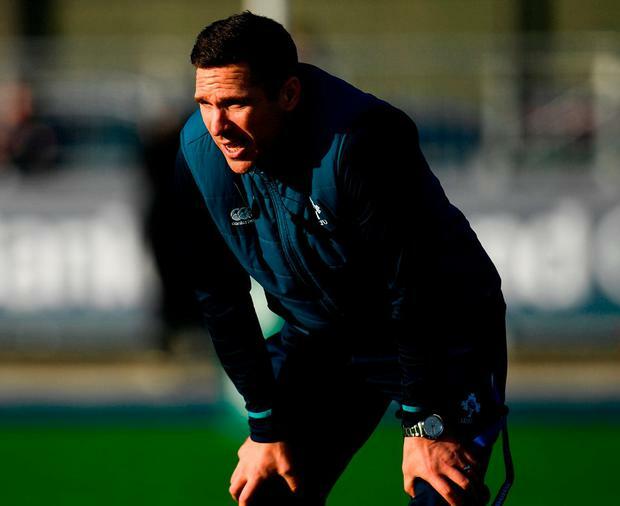 Molloy recently left Bristol for Wasps, who are currently lying in fifth place on the women's Premiership table. The Galway native will face several familiar faces on Saturday when England host Ireland at Twickenham (5.40). "Claire Molloy is a class individual," Griggs enthused. "You only have to look at what she has to do in terms of her work schedule. And then even playing for Ireland, let alone even the performances she puts in for us, which are huge. "Even this weekend, she has got 63 caps I think at this point, and you look at some of our other players where there are only 10 or 15 caps. "Someone with that experience who has been there before is huge for us. She is really good at driving the girls on and making sure that we are in the right head space. "Again, we are going to ask that from her this weekend. She knows this environment. She knows a lot of the players because she has played over in England for so long. "Her experience will be huge for us. And losing Ciara Griffin to injury, we are going to look for Claire to step up in terms of a leadership role as well." Griggs has made six changes for the tough trip with Leinster's Juliet Short set for international debut from No 8 with her provincial team-mate Ellen Murphy in line to do the same from the bench. Sixteen-year-old Beibhinn Parsons, who last week became Ireland's youngest ever international during the defeat to USA, is again named amongst the replacements.